If you want to straighten and perfect your smile discreetly and comfortably, Invisaling aligners may be for your. Before you choose Invisalign, however, you should learn a little bit about what it takes to maintain aligners during treatment. Here are some tips from our Boca Raton Invisalign dentist office about keeping your Invisalign clean and fresh. Invisalign aligners are completely removable, so you’ll actually be able to take them out completely in order to clean your teeth. In the morning and before bed, you can remove your aligners and brush and floss normally. You can even use an antiseptic mouthwash before you reinsert your aligners. Now, when it comes to maintaining the aligners themselves, there are a few things to keep in mind. First, although aligners are durable, there are some habits your should avoid so as to keep your aligners strong. After you clean your teeth and gums, you don’t want to reinsert dirty aligners into your mouth. · The Invisalign company actually offers a cleaning system, which will gently and effectively clean your aligners. This system uses proprietary Clean Crystals. These crystals disinfect aligners and remove plaque—and the process can take as little as 15 minutes! · When Invisalign Cleaning Crystals are not available, you can gently brush your aligners with a soft toothbrush and rinse them in lukewarm water. Don’t use too much force as you clean your aligners, as that can weaken the structural integrity of your appliance. · No matter how you choose to clean your aligners, don’t use hot water—always cleanse with lukewarm water. Hot water can warp your aligners and cause them to crack. 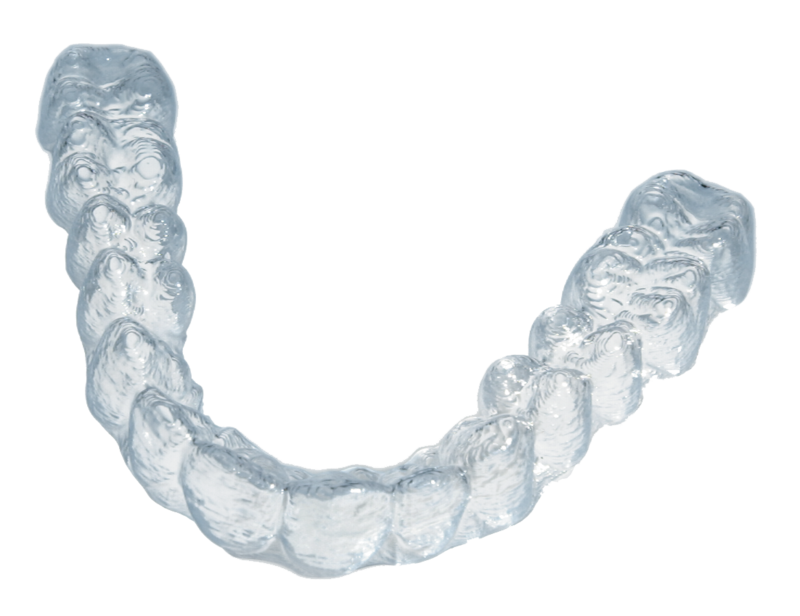 Cleaning your aligners is a critical component of Invisalign treatment. Proper maintenance will keep your teeth and your aligners in tip-top shape. To learn more about treatment options from our Boca Raton dentists, you can schedule your own consultation today!